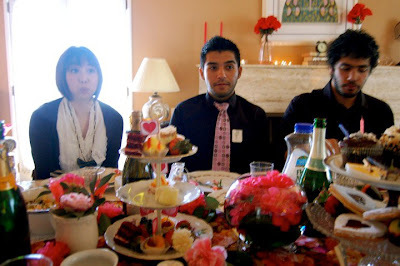 After almost six months, i'm finally posting photos of the Tea party I hosted for my 24th birthday. I named the event The Mad Hatter's Tea Bruncheon because It coincided with the theatrical release of Disney's Alice and Wonderland. The location of my brucheon was my aunt's formal living room, which came complete with white french doors that opened up into her garden. We were lucky enough to find a 60+ piece floral china set at Goodwill for around 60 dollars. 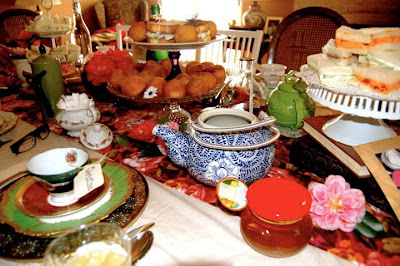 We ended up mix and matching the china set with my own private collection to give it that kooky mad hatter feel. 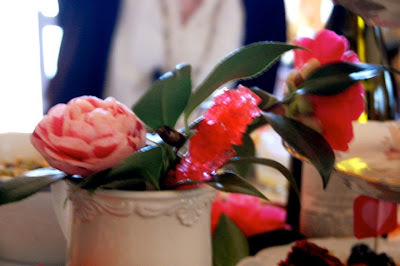 I used framed mirrors, old books, tea candles, fresh cut tea roses, and heart-shaped glass vases to adorn the table. 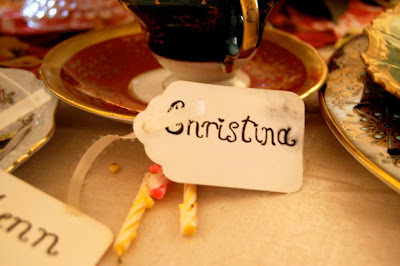 For name cards, I steeped little white tags in tea to give them a more aged look, and ribboned them to each tea cup. 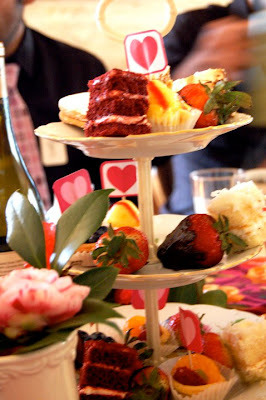 We provided catered food by Porto's, Le Figaro, and Masis Bakery, but did end up making our own fancy tea sandwiches, lemon mousse, and pasta salad. It felt so rewarding knowing that everything had come together at the end!